“They”… Who are “they” anyway? Even though we don’t seem to be able to answer that question, there are a lot of “they” who seem to be keeping us connected to situations, experiences, and drama that we really don’t need… and you’d think the situation would improve when “they” leave our lives… Quite the contrary. For many overachieving, highly successful, driven women entrepreneurs, being left feels like a slap in the face, a failure of sorts, something that they don’t know how to rationalize or recover from. So what do you do when you’ve been left (by a client, fired from a job, walked out on by a spouse, abandoned by a friend, rejected by a family member) physically but are still holding onto the situation emotionally and spiritually? How do you let go when everything inside you keeps fighting to hold on? What’s for you won’t pass you by. If that client, job, career, or relationship had REALLY been for you, it would’ve stayed and it would’ve produced good fruit. Anything that stays in your life but brings you down or leaves your life and leaves you feeling low is NOT something that is meant for you. When you truly get this understanding, you allow things to be what they are without feeling the need to push boulders uphill or go kicking and screaming into the night. You love what is, you accept what is and, as things unfold, you embrace the adventure of it. That doesn’t mean the pain goes away; it simply means you’re unwilling to magnify it. If you (like so many of us) have trouble letting go, listen to an episode of She Runs The Show that speaks more to this issue… how to love and let things go. Are you living a gorgeous life? Does your physical and mental state reflect your level of well-being and abundance? Or is there something missing? 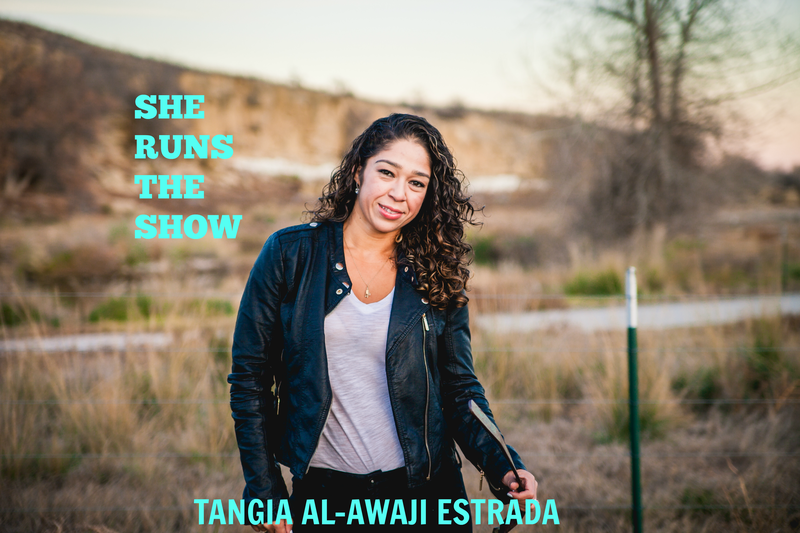 I interviewed Tangia Al-awaji Estrada, health coach and Creator of Hello Gorgeous Fitness (http://www.hellogorgeousfitness.com) on the She Runs The Show podcast and we dished about health, fitness and why we don’t treat our bodies like the temples they are. Hmm… When was the last time you asked ANY of those questions? What we feel on the inside ALWAYS manifests on the outside. If you’re ready to create a gorgeous life (physical, mental, spiritual, and entrepreneurial), you must listen to this amazing episode with Tangia. Be sure to follow Hello Gorgeous Fitness on Instagram at http://www.instagram.com/HelloGorgeousFitness and visit the site at http://www.HelloGorgeousFitness.com.